Top model Karmen Pedaru is styled by Morgan Pilcher in ‘Cool To Be Kind’ — as in how to be kind to yourself and your body by connecting with nature. Photographer Alexandra Nataf captures the rough elegance fashion story for Porter Magazine #32 Summer 2019. New research just published in the Frontiers in Psychology confirms what we all know but don’t want to face in our modern, technology-driven lives. Taking at least twenty minutes out of your day to stroll or sit in a place that makes you feel in contact with nature will significantly lower your stress hormone levels. “For the first time” ever, researchers have conducted a study on the most effective dose of an urban nature experience to counteract the effects of modern stress. That stress kills over time with high-cortisol levels that promote inflammation in the body with a corrosive, degenerative effective on key organs and psychological wellbeing. 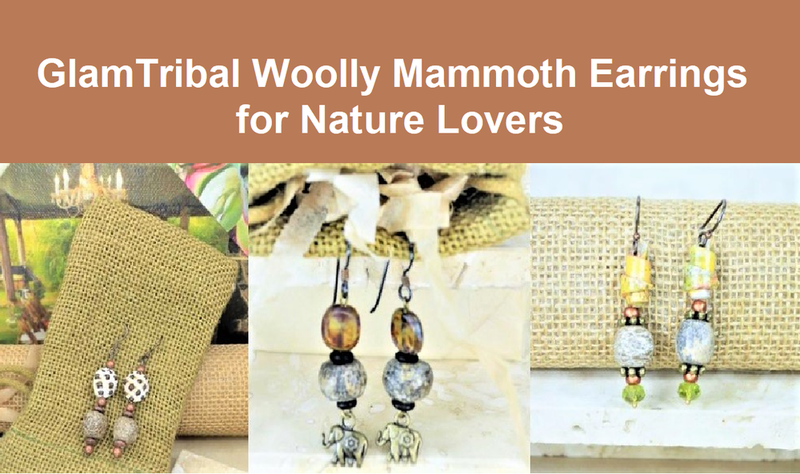 Connect with nature and our imperiled elephants by wearing GlamTribal woolly mammoth bone earrings. Anchor yourself in human history and the fight to save nature’s bounty. GlamTribal donates 10% of revenues to girls education and elehant conservation. FREE shipping in North America and western Europe.